A Canoe & Camping Outfitter in Ely MN can be a vacation saver. Rather than hauling up all your gear, you can come straight to the Ely area and it is all ready for you. 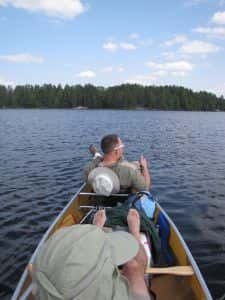 Moose Track Adventures is a premier Ely Outfitter that offers quality camping and canoeing gear to all interested in backpacking in the Boundary Waters Canoe Area. We are an outfitter that can have your BWCA permit ready and waiting for you with the rest of your gear, bring you to your entry point, ensure you are fully equipped to handle the nights ahead of you and be there to pick you up at the end of your journey. Whether you’re looking to show your children the beauties of the Boundary Waters Canoe Area, test your outdoor skills or get away from the fast lane for a bit, our Boundary Waters Outfitters are experienced enough to help you plan a trip for groups of all ages and equip you accordingly. The route you plan through the Boundary Waters Canoe Area will need to take into account your group’s skill level and specific interests. There are many things to see in the Boundary Waters Canoe Area and we can help you with your exploration. 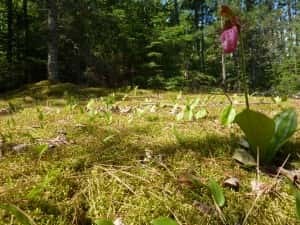 Nature– From floating bogs to towering pines, the beauties of this preserved wilderness are vast and the wildlife in the Boundary Waters is abundant. Whether you’d love to see a family of otters, catch a glimpse of a moose or even black bears, the Boundary Waters Canoe Area has them all. Canoeing– The BWCA is also known as ‘Canoe Country’ and for good reason. The Boundary Waters Canoe Area has well over 1000 miles of canoe routes, 12 hiking trails and over 2000 campsites for those with permits. This well-preserved wilderness is one of the most popular destinations for avid canoers, yet maintains preserved for everyone to enjoy at their own pace. Fishing– There is not a whole lot like the Boundary Waters to test your fishing skills. Because this area is so well preserved that northern pike, walleye and smallmouth bass can turn out to be a trophy. Let our Ely Fishing Guides assist you in your search. Camping– Your camping needs can be minimal, which especially helpful when having to carry what you have on your back. There are beautiful peaks, waterfalls and a stillness that can’t be walled in. We have all the camping gear needed, food and even Wenonah Kevlar Canoes. Contact Moose Track Adventures to secure your Boundary Waters Permit Dates and any of your Boundary Waters Outfitting needs. Contact us at 218-365-4106 or email info@moosetrackadventures.com.